If we didn’t already love New York City before, we were now smitten! It was now the place we became engaged, committing to spend the rest of our lives together. About a year before our trip, Poopsie and I had watched The Chef’s Table. It’s available on Netflix and is a great show. Each episode profiles a chef (most famous, some not) and their restaurant. One of the chef’s profiled was Dan Barber and his restaurant Blue Hill. We decided then that if we ever went to New York City together, we would dine there. And that’s exactly what we did. Poopsie planned it perfectly so that the dinner at Blue Hill was the night we got engaged. What a wonderful way to celebrate! The food was superb and the service was sensational. We have both continued to rave about our experience at Blue Hill. We did spend a lot of money, but the fixed price menu is not what I would consider an outrageous price. Adding drinks can increase the bill but if you’re careful, it is possibly to dine at Blue Hill for an expensive, but still reasonable, cost. 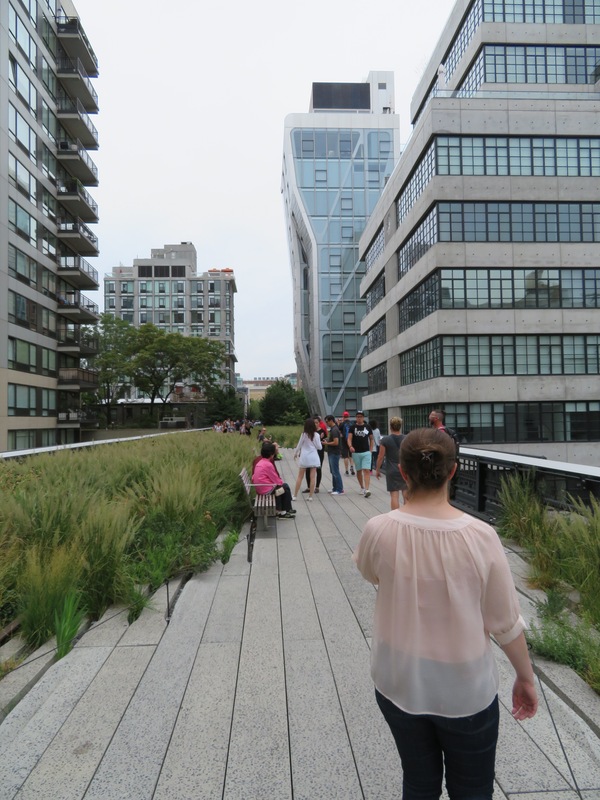 I had heard a lot about the High Line, so knew we needed to check it out. For those who don’t know, the High Line is a park built on an old raised railway line. It’s a little over 2km long and has pretty gardens, comfy seating and interesting art installations along the way. 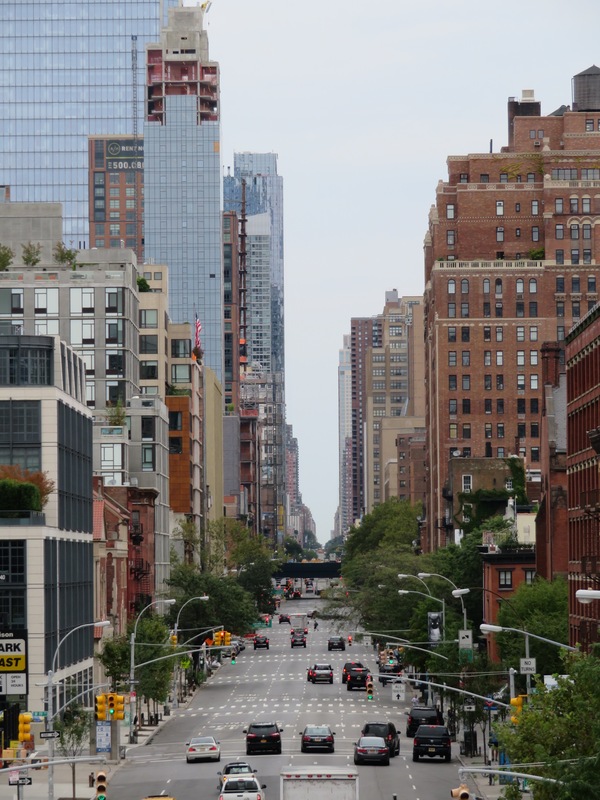 It also has a great viewing window where you can take a photo straight down a New York avenue. The day we went was quite overcast, making it very pleasant to wander along, taking in the sites. We sat for a while, people watching and enjoying the pleasantness of the day. 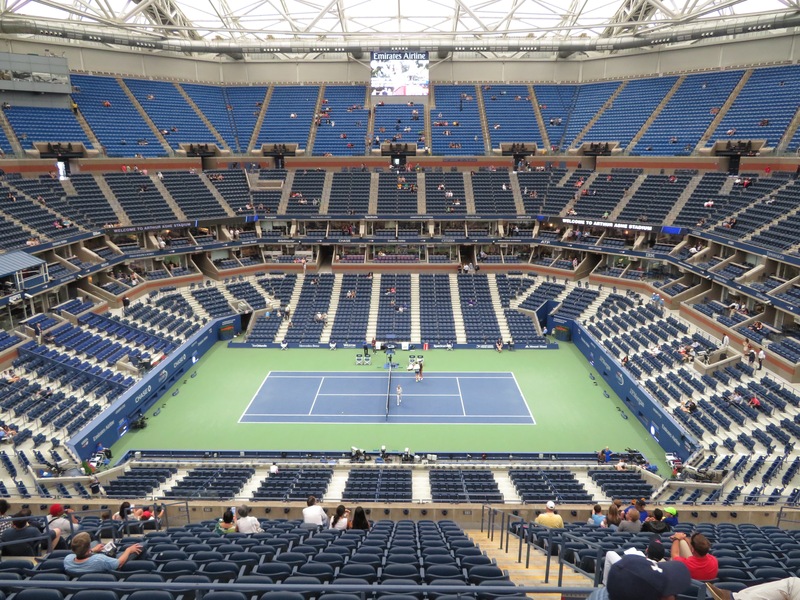 One of our big events during the New York trip was attending the U.S. Open. We are both big tennis fans and when we realised our trip coincided with this tournament, we knew we had to go. We were lucky enough to watch the Quarter Finals, seeing some big names and some tough matches. In a previous trip to New York City, I had done the Greenwich Village Food Walking Tour. I loved it so much, I recommend it to all of my friends and family who were travelling to New York. They all loved it too, and I knew I wanted to do it again, this time with Poopsie by my side. 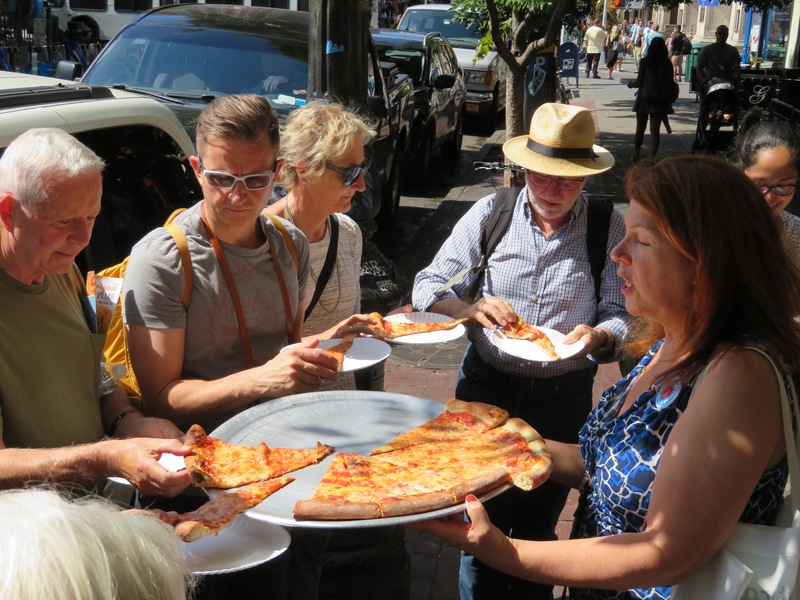 The tour spends a couple of hours wandering around Greenwich Village, learning about the history of the area and stopping to eat food. All of the restaurants or shops we ate in served delicious food and we were extremely well fed by the time we were done. This remains the number on thing I would recommend people do when visiting New York. We continued soaking up New York culture, attending another Broadway show, Phantom of the Opera. 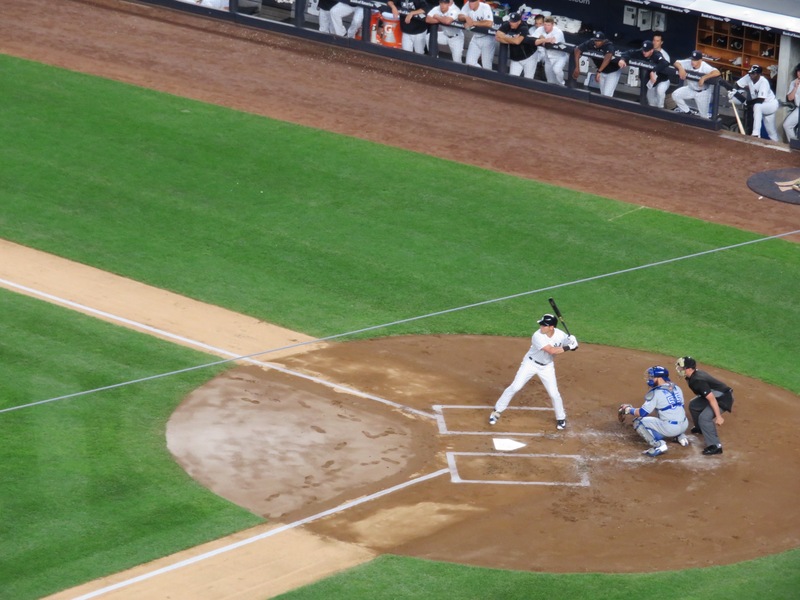 We also took in a New York Yankee baseball game which was fun, but a little bit slow. I expected it to be a much more fast paced game. 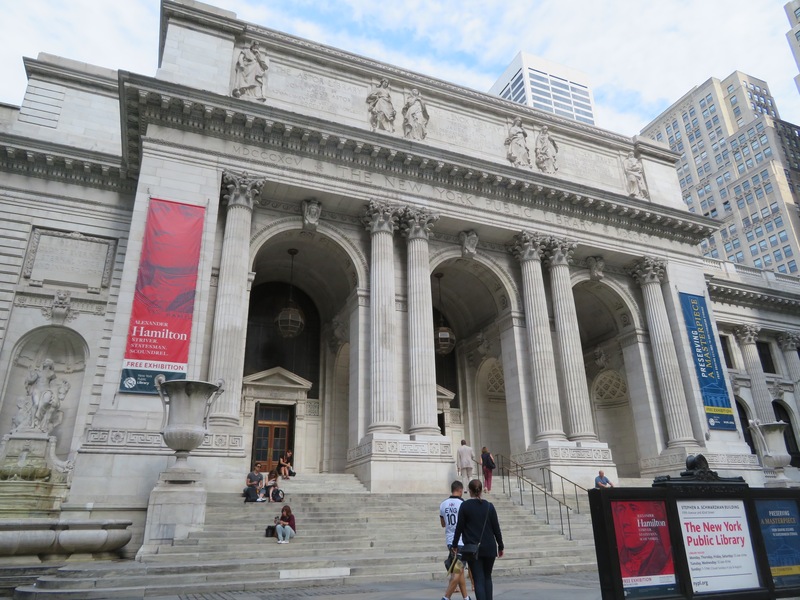 On our final morning in the city, we visited the New York Public Library and did the free tour. It’s a beautiful building, with so much history. There’s no denying that New York is an expensive place to be. We found food to be pretty affordable, but accommodation was astronomical. We took the subway almost exclusively, not using a cab once and only using an Uber to get to the airport on our final morning. I actually thought that things like tickets to Broadway shows were comparable, and sometimes even cheaper, to what you’d pay to see a similar production in Australia. 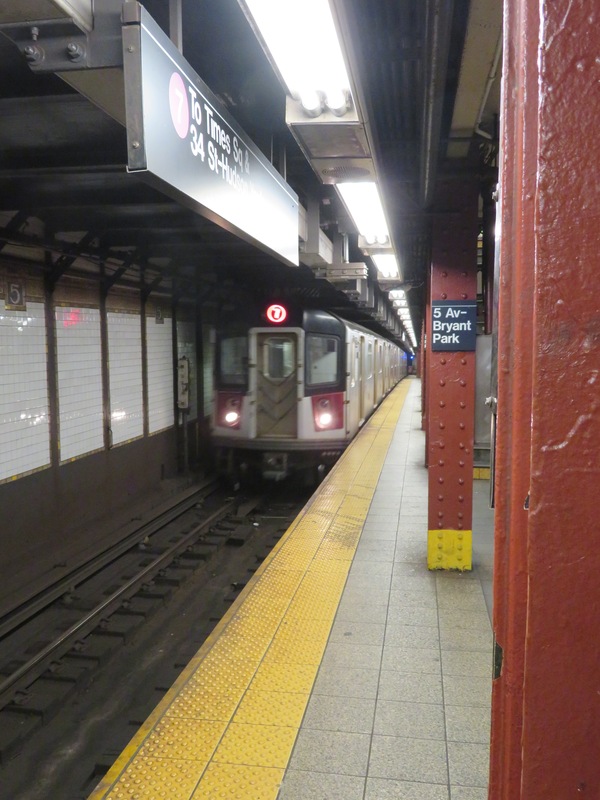 There is a lot of free stuff to do in New York and this won’t diminish your experience. Things like the iconic Brooklyn Bridge, Central Park and the New York Public Library are amazing to see and visit and won’t cost you a thing. We definitely intend to go back to New York in the future. I have probably spent about a month there all up, and I haven’t even come close to seeing everything there is to see. 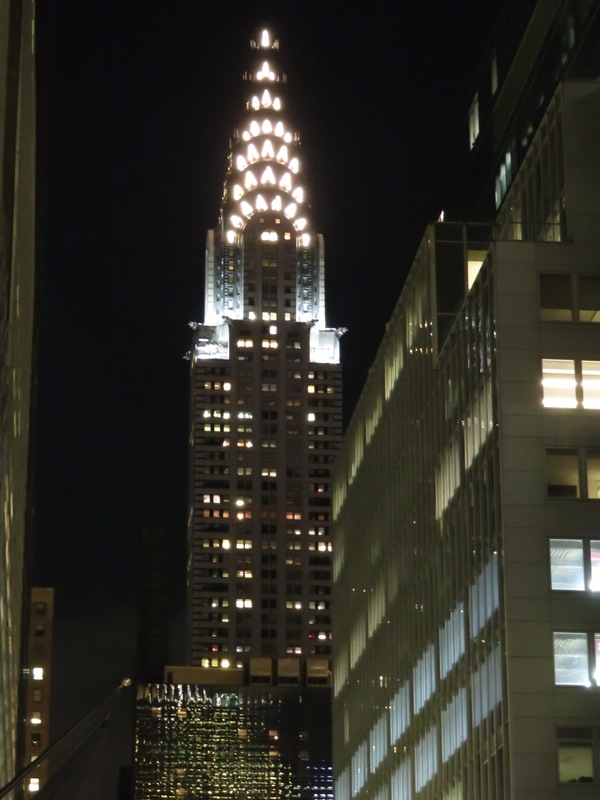 It truly is the city that never sleeps and, in my opinion, one of the most amazing cities on Earth. We love Chef’s Table! It’s such a beautifully visual show with interesting stories. We’ve also said we’d like to go an visit some of the restaurants. Congratulations for actually doing so, and what a memorable way to celebrate becoming engaged. I’ll have to go and check out that episode again. I’ve heard of the High Line and would like to walk it one day. I wasn’t aware of the viewing window down New York Ave. Although – where are all the cars in the picture? If this was Sydney they’d be almost piled on top of each other!